It’s been a few years since we’ve had any news to report on the Edward Rose project, a massive residential development planned for the corner of Highway 305 and Bond Road in Poulsbo. 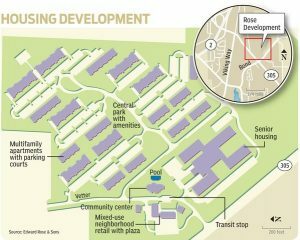 That changed this Thursday, as the city announced pre-application materials had been filed for the development, which would create 552 apartment units, 160-units of senior housing, a commercial plaza, and 34 acres of landscaping and open space, spread across 57 acres. Access would be from Bond Road and Highway 305, with a connection to Vetter Road also planned. A pre-application meeting is scheduled for Oct. 4. The pre-application process allows developers to informally discuss plans with city staff because filing a land use application. 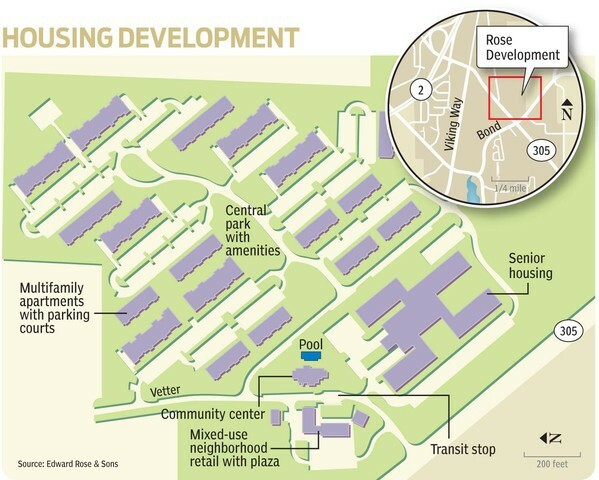 A master plan for Edward Rose was approved in 2011, but the project never broke ground. Edward Rose & Sons is a development company based in Michigan.